The Bucks County Women’s Chorus (BCWC) will perform at St. Philip’s Episcopal Church on Sunday, Oct. 7, at 3 p.m. 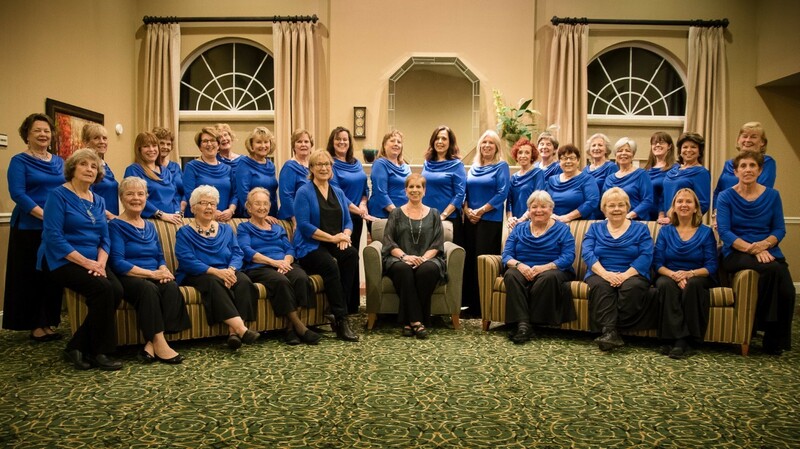 The 30-voice tour choir is part of the larger 90-voice Bucks County Women’s Chorus. They are a non-auditioned community ensemble that’s comprised of women of all ages from Bucks, Montgomery, and Philadelphia counties, all united in their love of choral music. BCWC was founded in 2012, and since that time has performed over 70 concerts in the greater Philadelphia area. The ensemble enjoys a busy holiday season, singing at various venues, including the Bucks County Visitor Center Tree Fest. They once again launch into a lively concert season in the spring, offering an eclectic repertoire of show tunes, standards, spirituals, light classical, jazz, and more. The chorus has also performed numerous times at Citizens Bank Park for the Philadelphia Phillies. In the last years, BCWC has donated more than $7,500 to local women and arts-related charities including Libertae, the Oscar Hammerstein Foundation, Westminster Choir College scholarship funds, Arts Reach Philadelphia, Sister Cities Girl Choir, Trenton Children’s Chorus, and many others. The concert series at St. Philip’s will continue on Oct. 14 with folk singer and songwriter Cat London, and on every Sunday in October. The vision of the program is to provide a space where music can create a community which is open to all, regardless of income. “New Hope is a community known for the arts, and in a small way, we hope to build community through the arts,” said Reverend Michael Ruk, the priest at St. Philip’s Church. The concert is open to all with a free will donation at the door for the musicians and the outreach of St Philip’s Church. St. Philip’s Episcopal Church is located at 10 Chapel Road in New Hope. For more information, visit St. Philip’s online, or call (215) 862-5782. Advertise at New Hope Free Press Today!